For 25 years, Coffee Fest has gathered coffee and tea professionals, evolving into one of the top trade shows in the nation. With nearly 10,000 attendees, Coffee Fest brings retailers, distributors, and manufacturers together three times annually in three U.S. regions (Eastern, Central, and Western) for education on emerging trends, training workshops, competitions, and networking opportunities. Scholle IPN will join Coffee Fest for the first time, at Coffee Fest Nashville 2017, exhibiting March 17-19 at Music City Center (Booth #618). We spoke with Randy Austin, Product Line Manager, to find out what Scholle IPN hopes to bring to this respected event. Why is Scholle IPN attending Coffee Fest? Recently, we’ve been seeing increasing levels of customer interest in our products for coffee and coffee concentrates. We want to tap into this interest, and show what Scholle IPN has to offer the coffee market. This is a great place to connect with a wide variety of potential customers from independent coffee shops to medium to large chains. What does Scholle IPN plan to feature at the event? We’ll be highlighting a selection of our successful coffee-related products, especially bag-in-box packaging for cold brew coffee, and coffee concentrates for the foodservice industry. Can you tell us more about Scholle IPN’s successful solutions for cold brew coffee? Well, the market for cold brew coffee has been gaining momentum for the last few years, and companies are searching for ideal packaging for their products. Several leaders in the cold brew market have chosen our bag-in-box packaging. Other companies are starting to notice and growing interested in our solutions, which offer compact packages that allow on-tap dispensing of cold brew coffee. Wandering Bear Coffee, based in New York, has designed their cold brew packaging around our bag-in-box format, allowing them to offer boxed cold brew coffee in a range of sizes. They’re finding success for their product with office deliveries, which benefit from having a compact and easy-to-dispense box in the office refrigerator. They’re now looking toward national retail distribution. As they expand their ability to produce cold brew, they expand their market potential for retailers across the nation. Also, Chameleon Cold-Brew, based in Austin, Texas primarily packages their product in bottles. But they also offer multi-pack, bag-in-box packages of both ready-to-drink and concentrate, allowing the customer to determine the strength of their preference. Boxed coffee is easy to keep in the refrigerator for on-tap coffee dispensing, and can be served hot or cold. Partnering with these companies has helped Scholle IPN develop strong relationships with leaders in the cold brew coffee industry, and packaging solutions that work for our clients. What solutions does Scholle IPN offer for coffee in the foodservice industry? We’ll be mainly highlighting our single-serve pouch solutions for cold brew coffees and coffee concentrates. Our stand-up pouches are customizable in 2-6 oz. sizes, and capable for hotfill, fresh, retort, and aseptic processing. Single-serve pouches are ideal for vending machines, cafeterias, and other quick-serve settings. Also our CleanClic fluid connectors are are perfect for use in coffee and tea dispensing systems. CleanClic (available in both regular and tamper evident) keeps the pouch completely closed before, during and after the filling process, providing quick, intuitive, and spill-proof connection and disconnection between liquid pouches and dispensing systems. Extending product shelf life up to 6 weeks once opened. Ensuring safety and freshness with industry-leading closed-loop systems that minimize product exposure. Eliminating product waste with up to 99.5% product evacuation. Streamlining on-premise logistics by dispensing from high-barrier bulk packaging with precise and consistent dispensing capabilities. Why should people choose Scholle IPN over its competitors? We have the expertise and in-depth market knowledge. We pioneered aseptic processing and filling, which allows fresh, shelf-stable products, eliminating costly cold-chain logistics throughout the distribution chain. We’re now expanding aseptic capabilities to our pouch applications. Most pouches today can only process hotfill, but Scholle IPN can do fresh, hotfill and aseptic. Also, we’re vertically integrated, which means we’re able to offer smooth implementation of the entire process from package design to final dispensing. We manufacture our own film, fitments, and filling equipment, and make our own bags. We work closely with end-users to ensure our products meet market needs. We offer ongoing field support service around the world. With our comprehensive knowledge of the industry, we’re able to help customers throughout the testing, selection, design, installation, and post-launch activities, which are necessary to bring a successful product to the market. You get a partner for the whole process with Scholle IPN. 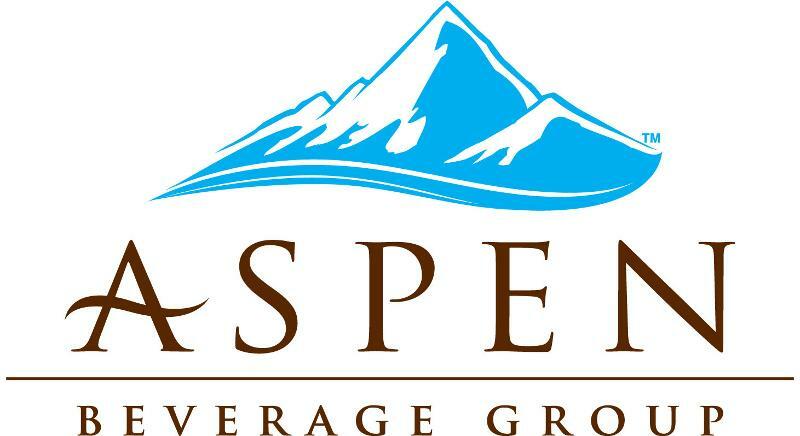 We also have strong industry partnerships with contract packers like Aspen Beverage Group—experts in producing liquid coffee for retail and foodservice applications. Our partners use our filling equipment and packaging products, and are willing to produce new and private label products. These are excellent resources for smaller, independent companies and shops who want to make use of our products, but aren’t ready to manufacture and fill the products on their own. Browse our product library to see ScholleIPN’s coffee and tea related products or contact us with your questions or specific business needs. Coffee Fest Nashville 2017 takes place March 17, 18 and 19 in Nashville, TN at Music City Center. Scholle IPN will be in attendance, displaying its innovative coffee related products at booth #618.